Looking to kick back, relax and enjoy free live music under the stars this Independence Day weekend? Grab your picnic basket and head to your local Levitt for a celebration music lovers of all ages will enjoy. Tonight, Levitt Arlington will host Light Up Arlington!—the annual hometown spectacle of fireworks, food and free live music (Brad Thompson and Sgt. Pepper’s Lonely Bluegrass Band). 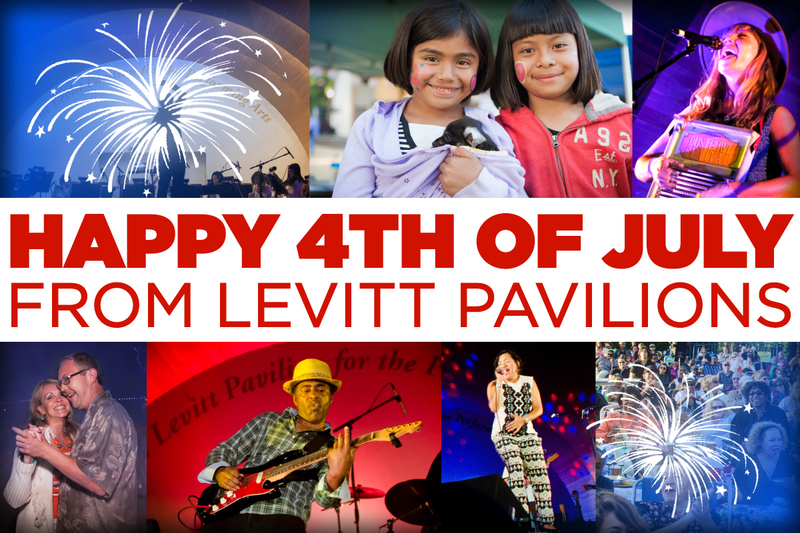 The fun continues on the 4th of July with more free live music at Levitt Pasadena (Dustbowl Revival), Levitt Shell (Cory Branan & Band), Levitt SteelStacks (The Allentown Band) and Levitt Westport (River City Slim & the Zydeco Hogs). This entry was posted in #musicmoves, Holidays and tagged #musicmoves, 4th of July, Brad Thompson, Cory Branan & Band, Dustbowl Revival, Levitt Arlington, Levitt Pasadena, Levitt Shell, Levitt SteelStacks, Levitt Westport, Light Up Arlington!, River City Slim & the Zydeco Hogs, Sgt. Pepper's Lonely Bluegrass Band, The Allentown Band on July 3, 2015 by Nicole McGaffey.